HB Digital are highly competitive and provide a tailored service to suit your individual needs. 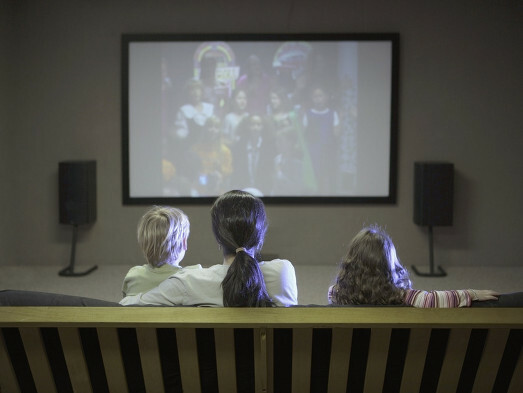 We are specialists in all aspects of home cinema and home automation systems, we can design and implement a system that will allow the user to watch films or listen to music in any room taking the media from a central server. Our system is highly competitive compared to other bespoke systems. Having your LCD, LED or plasma screen professionally wall mounted can enhance your viewing experience as well as maximising the living space in your home. At HB Digital we can wall mount all varieties of screens whether it involves a small 19 inch kitchen TV or a 65 inch plasma TV for your home cinema room. We can also take care of any cable concealment required from using trunking to chasing walls, plastering and redecorating so that all you see on the wall is your TV. 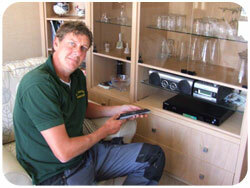 Our professional home cinema installers cover all of North Wales, Llyn Peninsula, Anglesey and the North West.